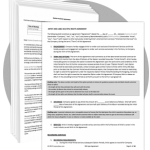 Protect yourself with these input ready contracts. The legal aspect of the Music Industry is not an easy one. To get legal representation it costs you money and specifically, to get legal representation to draft agreements for any potential business dealing that pertains to the music industry is also as costly. Sadly, because individuals may not have the funds, having proper agreements can be detrimental on a business but further on an artist. Symphonic Distribution has always received requests for legal agreements and assistance and we’re happy to create this service in partnership with Music Law Contracts (UK) to offer a wide variety of legal contracts for sale at a cost effective price. 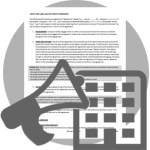 We’ve got contracts for various different types of situations and business dealings with each editable via PDF and/or Word. All sales are final. No refunds accepted. 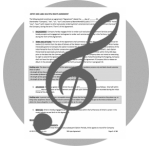 Symphonic Distribution has partnered with “Music Law Contracts” who wanted to create a solution to help musicians, and music business professionals from all over the World find trusted and up-to-date music contracts that protect them and their music. 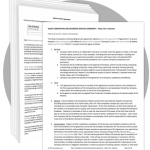 For years, artists and music professionals have had to rely on using outdated low-quality music contracts, often written for a territory different to their own (and thus based on different legislation). Alternatively, you can pay hundreds in legal fees to have a custom contract written up. 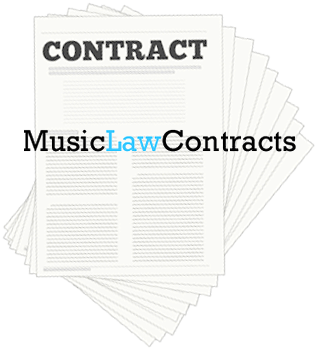 Music Law Contracts is a partnership between The Musician’s Guide, a trusted music business resource used by hundreds of thousands of artists, and Avenant Law, one of the fastest growing music and media law firms. The partnership supplies professional music contracts to hundreds of record labels and artists. Through this page and below this FAQ, you will see the variety of contracts we have available. 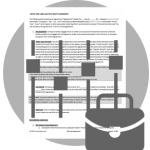 You simply choose the agreement you’d like to purchase, pay for it and then from there you will receive your downloadable agreement for you to be able to fill out and use. After your purchase, you’ll get both a PDF and a Microsoft Word version. The word document enable you to enter in information that will then fill out the remainder of the agreement and from there you can take that edited contract and create your own PDF version. 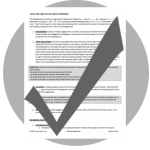 After your purchase(s), you will receive your agreement(s) instantly. As soon as your payment has been completed you’ll automatically be redirected to a page where you can download your contracts. If you have made a purchase and have yet to receive, please feel free to contact us! Yes we can create a custom agreement although the price may be a little bit higher than our pre-made agreements. If you are interested though, please feel free to contact us. We’ll get some information from you and may need to do a phone call with our attorneys in order to draft your agreement for the specific case you may need. Do you have a legal problem that you’d like to get legal advice for? Contact us to get more information on the rates available for legal consultation. You will receive consultation from a music attorney in the US and/or the United Kingdom given your location and situation. 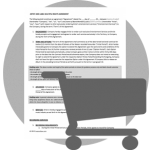 Do you want all of the contracts that we sell individually and some additional goodies? This is the package for you. 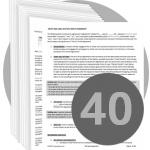 Every single contract, that’s right all 40 contracts AND some new ones not available individually are in this one zip file! You get them in various versions and for various countries all for you to be able to take advantage and build your legal arsenal. If you run a record label then this package is the perfect one for you. For one price you get 14 contracts suitable for various aspects of running a record label. 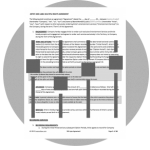 An overview of the available agreements are below. 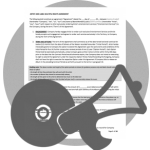 All the contracts that you could ever dream of that pertain specifically to record labels that are also publishers. Very helpful to be able to grow your brand from just being a record label to a full-fledged publisher that enables you to build a long-lasting relationship with your artists. Full overview of available contracts below. You a producer/artist? You may need some contracts as well to ensure that you have your business affairs in order. 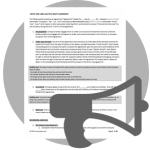 Check out the overview of available agreements below! The exclusivity applies to both the Artist (as a recording and performing musician) and to the songs written by the Artist during the term of the agreement. An additional number of songs written prior to the term are also assigned in the agreement. The exclusivity in respect to the Artist applies for the length of the agreement and in respect to the songs for the life of copyright (unless otherwise agreed). Useful agreement for a label looking to engage an artist exclusively for a number of years, both as a performer and in relation to his/her songs. With this agreement the owner of master recordings grants an exclusive right to distribute ‘records’ embodied in any format (compact discs, phonograph records, audio cassette tapes, digital audio tapes, DVD, etc) for a certain period of time (the Term) and in certain countries (The Territory). An agreement under which copyright on certain recordings is assigned (from Artist to Label) but Artist is not engaged exclusively by Label as a recording and performing musician. 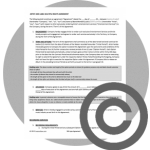 Artist is, therefore, free to assign copyrights not covered in this agreement to other labels. A flexible contract for a label looking to license particular recordings but do not wish to tie up an artist exclusively for a number of years or for a number of releases. 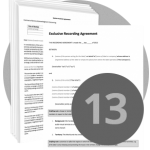 It can be used as a trial agreement before moving on to an exclusive recording type of arrangement. An agreement setting out the conditions in which a music company engages an artist with respect to his/her/their services as a recording artist, songwriter, composer/arranger of music and actor/actress (for film, TV and Theatre). It also grants the music company merchandise, sponsorship and endorsements rights for the use of the artist’s names, likenesses, and related Intellectual Property. An agreement under which an artist is engaged by a company to compose, arrange, record and produce a piece of music to be used in the company’s own production (TV, Film, Video Game, etc). The artist receives a full and final fee as remuneration for the services provided and all copyrights are transferred to the company and moral rights waived. However, the artist remains entitled to his/her writer’s share of public performance royalties received directly from his/her performance right society (PRS, BMI, ASCAP, GEMMA, etc). Company gets granted a license to use the artist’s name, likeness, voice and biographical data in relation to the company’s production and artist promises that the music delivered to the company does not infringe any third parties’ copyright. Useful for companies looking to commission both recordings and compositions from an artist for use in TV, films, etc. An agreement under which an Artist assigns both recording and publishing rights to a label in exchange for an advance, royalties and a commitment from the label to fund and release the recordings and procure synchronization and/or performance license for the compositions. Recording rights are assigned for the length of copyright (50 years after release) and Publishing rights for a rights period of fifteen (15) years. The label will have six (6) months from delivery of the songs to procure a release of the recordings and performance and/or synchronization usages for the Compositions. An agreement under which joint owners of copyright in a particular song or songs set out the percentages of ownership and the conditions in which they are permitted to promote said songs. In the UK joint writers are allowed to re-use lyrics or music they contributed in a song (provided there are no restrictions made by labels) but only when the portion of the work written is sufficiently distinct and identifiable from the other parts of the co-written work. This contract overrides this default and sets out that each writer owns an interest in the whole copyright, not just their contribution. Example: if two collaborators get together to write a song and one writes the lyrics and the other writes the music, either author can grant non-exclusive licenses for the entire composition (provided they pay each other their share of income) BUT neither is allowed to just pick their part of the composition and leave the other without continuing to pay their percentage of all the income if such is generated from the use of the part which the party wrote and re-used. 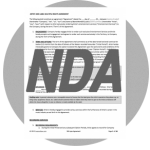 A band agreement sets out how the group is run on a day-to-day basis, how decisions are taken and what will happen to the band’s name, domain and logo if the band is dissolved. This agreement also deals with the question of who is entitled to what shares of the songs and the income. This is a very tricky subject and a very emotive one, which is why the band should deal with it at the beginning of the relationship before money starts to be earned. 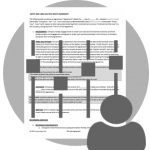 A band agreement is a vital document that will work as blue print band members can refer to when taking important decisions and help them settle disputes easily. This band agreement contract is 7 pages long. In today’s music market, working with singers and/or other producers is a great way to maximize and increase your profile presence. 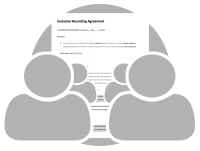 With this agreement, you’ll be able to easily and quickly work with another talented artist, singer, drummer, or whatever other individual you feel can help elevate your recording(s). Instrumentals are cool but do you know what else is cool? Having some cool and catchy vocals on that instrumental. 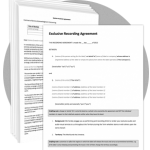 This agreement will help you put a hook or catchy vocal in your original production without having to go to the studio. Elevate your recording and ensure the owner of that recording is fairly compensated. Also known as work for hire agreement, this is a contract by which a musician agrees to perform a musical composition for a fee but renounces to all and any interest in the master recording, the composition and waives any other related rights such as the moral rights. Useful agreement to avoid session musicians claiming any ownership rights or share of performance income after they have been engaged and paid a fee for their services. 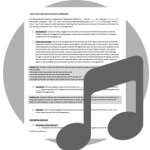 Sample Clearance Agreement with Publisher: where the owner of a composition grants a non-exclusive license for the use of a portion of the composition in a new recording performed by an artist. 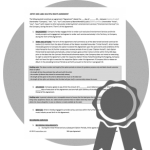 An agreement where an artist appoints a producer to produce a recording or a number of recordings for the record label that the artist is signed to. The label makes available a budget for the producer which is inclusive of a recording budget (money used to pay for studio time and general expenses incurred in the making of the records) and an advance. Said advance, although non-returnable, is fully recoupable from the share of royalties the producer will get once the recordings are commercialized. An agreement under which a Producer funds the recording of musical performances by an artist. Producer is assigned full ownership of copyrights and representation rights for the length of the term of the agreement OR up until copyright is assigned to a third party label OR once production costs have been paid by artist to Producer or recouped in the form of Royalties or otherwise. Termination of the agreement does not affect Producer’s entitlement to royalties. An agreement under which an Artist engages a Producer to conduct recording sessions and deliver certain tracks for a fee. The Producer will make reasonable efforts to present such compositions to labels with the view of securing a deal. In the event, such deal is secured the producer will receive a commission on the advance by the label as well as royalties on future income. This contract is 2 pages long. Contract by which an owner of copyright grants a non-exclusive right to record, dub and synchronize the Master with TV programs, films, advertisements and trailers, and to exhibit distribute, exploit, market and perform the MASTER embodied within the Programs. An agreement under which an artist assigns recording copyrights (on an album) to a label for a defined period of time (7 years from the date of release). The label will account fifty percent (50%) of net profits after recording, promotional, manufacture, distribution, legal and accounting costs are recouped. For synchronization usages the royalty will be of seventy-five percent (75%) and the artist is allowed to procure his/her own licenses provided it pays ten percent (10% gross) to label for any income generated from such licenses. Agreement is exclusive in relation to the recordings being assigned but Artist is not engaged exclusively as a recording or performing musician and is, therefore, to assign copyrights not covered in this agreement to other labels. Label is required to release the album within 6 months in the UK and within one year after the UK release. If a release is not procured within those periods of time the artist can claim copyright back on unreleased songs in respect to the territories where the songs are not released. As a songwriter, you may be interested in business, but your talents are best spent in creating. However, someone needs to take care of business, and that’s where the publishing industry came from. When a publisher makes a standard deal with a songwriter, it will find users for the content, issue licenses, collect money and pay the writer(s) conditions of which will be included in the Publishing Contract. An agreement under which an owner of copyrights grants a license to a company to procure usage for the content (i.e. recordings and compositions) in the form of synchronization licenses. 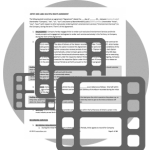 Such synchronization licenses are granted to various content users such as TV, film and video games producers. Thanks to the non-exclusive basis of the agreement the copyright owner (i.e. the party granting the license) is allowed to license the same content to other companies during the term of the agreement. Touring is how many musicians make revenue in the music industry. 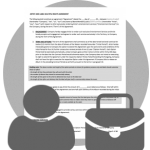 Setting up a tour can be very complicated and this agreement will help in the process. 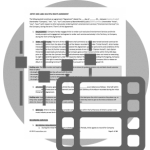 This agreement can be worked with an agency and/or for various venues and serves as a draft/start to get a custom tour off the ground. The artist agrees to perform the engagement to the best of his/her ability and to provide promoter with materials, photographs, biography, CV, and recordings for the promotion of the engagement. Both parties agree to pay their own tax contributions and to comply with all rules, regulations, and agreements relating to health and safety. 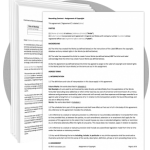 Agreement useful for promoters looking to have a document in place that comprehensively covers all of the most common issues related to live engagements. This is an exclusive agreement whereby an Artist grants merchandising rights to a company which allows the latter to use the Artist’s name, logo, likeness, picture, artwork, trademarks etc., throughout a defined territory in connection with manufacture and sale of products of any kind. Company accounts fifty percent (50%) of income to artist after recouping manufacturing and transport costs. Useful for labels or manufacturing companies looking to get an exclusive license to artists’ intellectual property for the manufacture of goods. Both parties agree to act in a professional manner at all times to not act, omit or operate negligently or recklessly resulting in the impossibility to carry out the event. The contract can be customised to allow the promoter to provide his/her own bar stock, sound engineers and security for the event. This is an agreement whereby a promoter engages a DJ to perform at an event, at a particular date and for a specified length of time. The promoter agrees to remunerate DJ for the satisfactory performance of the engagement and to meet certain requirements as requested by DJ (including a safe performance area, electrical outlets, and crowd control personnel). 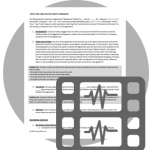 This agreement is useful for promoters looking to have a document in place that comprehensively covers all of the most common issues related to live DJ music engagements. Short communication by which a copyright infringer is given a period of time (usually 14 days) to stop an infringement and is threatened with further legal actions if fails to do so. If the party which copyright was infringed on requires information relating to the number of products sold to assess what damages are payable then a ‘Letter of Claim – Copyright Infringement’ shall be used. Give advice in connection with image, branding, advertising, trends, and publicity. 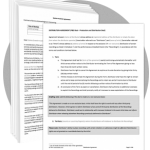 Ensure that payments are collected and negotiate third-party contracts. The artist’s duties include carrying out to the best ability and in a punctual and sober manner all agreements, engagements, performances and promotional activities obtained by the manager. The manager’s commission is defined as 20% on gross profits with the exception of touring and merchandise activities on which commission is calculated on net profits. Manager is also able to reclaim agreed expenses incurred while carrying out his or her duties as manager. 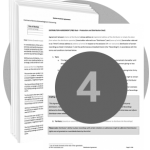 Includes helping drafting documents as well as US, UK, and Australian versions! While it’s strongly advisable to have an attorney customise your agreement to your state or region’s specific legislation, we’ve given you a bit of a head start by including three variations of the artist management contract. 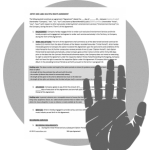 An agreement which sets out the conditions in which an Agent engages an Artist with respect to different types of entertainment and performance commitments procured by the Agent. This contract is 5 pages long. To comply with the 2003 legislation ‘The Conduct of Employment Agencies and Employment Businesses’ such engagement could not be made on an exclusive basis and therefore Artist is not prevented from working with other agents or even directly with hirers that the agent has introduced to the Artist. This template compiles a comprehensive number of clauses dealing with different issues concerning the sponsoring of artists or events. Typically, a sponsor pays a sum to a manager (of an artist or an event) for the right to display the sponsor’s advertisement and/or sell sponsor’s products at an event or series of events.